Did Joseph think that the priesthood spoken of in the Bible was the kind of power he needed? Indeed, he did, as you can determine by reading his editorial in full (click on link, and then search for “Try the Spirits”). Of course, Joseph’s perception of the Biblical priesthood was far from correct. Priesthood in the Bible is not a POWER, but a word referring to the role, responsibilities, and requirements of a priest–a person whose job is to represent the people before God. Old Testament priests did not study up on the “bounds, limits, and laws” governing demons so “they could control them at pleasure.” On the other hand, before becoming a prophet Joseph Smith had made a name for himself attempting (and failing) to locate buried treasure with his peepstone. His failure, he claimed, was because of those pesky guarding ghosts…. Smith’s need and desire for power, together with his quest for biblical-backing, provides a fine example of eisegesis (i.e., imposing one’s own interpretation onto a biblical text). Joseph, in attempting to ascertain the role and nature of biblical priesthood, simply saw what he wished to see. The “spirits” Joseph consulted as he built his church DID contradict former revelation; irony, again. The nature of God, the number of gods, the nature of Jesus, the nature of man, the place of Jesus’ atonement, the virginity of Mary, the role of and need for the priesthood, heaven and hell, just to name a few, are all Biblical revelations that have been contradicted in Joseph’s religion. Setting aside hair color, were the spirits Joseph dealt with true and good? Or false and evil? How do you know? Mormonism’s Jesus is one of many gods. He is Lucifer’s spirit-brother, humankind’s spirit-brother, and the son of the god “Elohim.” He did not create all, he was not clearly virgin born, and he is not to be directly worshiped by people on this planet. Mormonism thus fails the test of 1 John 4:1-3. Joseph’s spirits, if they existed at all, were of the false and evil variety. This entry was posted in Joseph Smith, Priesthood and tagged Joseph Smith, Priesthood. Bookmark the permalink. One last point, the motivation to join Smith's church was his proclamation that his followers would be receiving direct revelation from God. This was very empowering and might I add, intoxicating. Smith really had a tiger by the tail with this because who was to say that his (Smith's) revelation was any better than anyone else's? As we see Joseph had some problem containing this as in the case of the woman who had the angel with the wrong color hair appear to her. See the main problem is that Mormonism is a "make-it-up-as-you-go-along religion". Revelation is the cover for anything they want to come up with. That's why Mormons are left scrambling continually because their revelations don't match up with the Bible. But hay that's easy, declare the Bible in error! In Act chapter one verse 8 Jesus says to the apostles, "but you shall receive power when the Holy Spirit has come upon you…." Notice anything in that that mentions power of the priesthood? The Holy Spirit is God's gift to the Church. Through the Holy Spirit certain gifts are manifested. The gifts are listed in First Corinthians chapter 12. Again, nothing about a priesthood with power associated with it. In Ephesians 4:11 the offices of the Church are listed. They are apostles, prophets, evangelists, pastors and teachers. Notice again, no priesthood. The writer of Hebrews was quite clear in stating that Jesus is the High Priest. He alone is the mediator between God and man. BTW, what tribe of Jews are the Mormon priesthood holders descended from? So how exactly are new converts supposed to trust the witness of the Spirit before they are privy to holding the priesthood? So where did the Mormon priesthood come from? Well in keeping with the Joseph Smith fairy tale where God the Father and Jesus appear to him (pick a version of the tale), and an angel shows up with a story of gold plates buried in the ground, the Mormon Aaronic priesthood came about when John the Baptist appeared to Smith and his home boy Oliver Cowdery. The Mormon Meichizedek priesthood was constituted when the Apostles Peter, James and John showed up and bestowed it. And Smith was warning his flock to be careful of spirit beings in disguise? Personally I don't get a burning in the bosom when I think about the appearance of John the Baptist, Peter, James and John to Joseph Smith. What we do know is that Smith was big time into second sight vision where he could conjure up all sorts of magic. Did he actually conjure up some spirits. I suppose he could have and the spirit manifestations claimed by Mormons (i.e. dead people showing up during the dunking for the dead ceremonies) does fit in well. Smith should have heeded his own advice and maybe he would have kept on course. So the idea that some spirit creatures appeared and invested the priesthood to Smith contrary to Biblical teaching is part-and-parcel of the Mormon head feint. That is, tell people to beware of evil spirits while at the same time entertaining said spirits. I'm wondering if the Virgin Mary has ever appeared to any Mormons? They ought to look into Lourdes and Fatima and a few of the other sites. Perhaps the Mormon prophet could figure out a way to fold these into Mormonism. I can know a false spirit by the color of his hair? Where in the Bible or even the BoM is that taught? Here is one I have used with mormons before. Instructions given by Joseph Smith the Prophet, at Nauvoo, Illinois, February 9, 1843, making known three grand keys by which the correct nature of ministering angels and spirits may be distinguished. HC 5: 267. I have shaken hands with mormons before, then told them I am an angel of God and my message is they are following a false gospel and JS is a false prophet. Once they question me on it I direct them to this passage and tell them they felt my hand shake and I fit this verse. Just something to think about. Let's face it, if someone is willing to believe that God the Father, who is spirit and doesn't have a body, Jesus, John the Baptist, Peter, James, John and an angel named Mormoni appeared to Joseph Smith, they will believe anything including that there's a priesthood and it comes with a large amount of power. This tale gets bigger and bigger as it is spun and respun. And the whole deal is sold on the basis of being really super, hyper spiritual. Now mix the whole deal together with some indoctrinating rituals inside a "temple" and we have the makings of a true believer cult. Let's not forget that this power house priesthood is one of the steps on the path to a practitioner becoming a god with, yes, more power. Cults have a way of making those that buy the program feel that they are privy to some real heavy duty, special and secret stuff that only those with a willingness to buy the fantasy can absorb. Very special indeed! Once unsuspecting investigators let missionaries define for them their feelings(tell them that the feeling of peace or joy is the Holy Ghost), and their feelings are used to convince them that God is confirming whatever the church says it is, they open their mind for brainwashing, and they can be made to believe almost anything. Joseph Smith was somewhat a smart con man by setting up a pyramidal power structure where he has God saying he´s the only one that can tell the whole church what to do. It´s the best way to keep people under control and submission. To better impress that notion, it´s made clear in church that anyone that does not sustain the first presidency or the apostles in general conference is subject to excommunication. In order to balance the authoritarianism, they have to give members the impression they have a saying in church affairs by allowing them to sustain their leaders. They don´t really have a choice though, that´s just a public opportunity to show your faithfulness to the leaders of the church. And, if you want to know where the priesthood ideia really originated from, specially the melchizedek priesthood, you have to do some research into freemasonry – there´s an ordination for the melchizdek priesthood in one of the degrees of the scottish rite. That control of evil spirits also has to do, i believe, with the seal of solomon also known as the star of david. This is another freemasonic legend that comes from jewish Kabbalah, it says that the seal of Solomon had that power to control those spirits. In many ways the church is just another branch of freemasonry. D&C 107:3 – "Before his day it was called the Holy Priesthood, after the Order of the Son of God." I was taught that melchizedek priesthood was just a nickname, because the church didn´t want to repeat the name of God too many times – that would be taking the name of God in vain (i wasn´t used to thinking at those times but if i was i would have realized that the name of God isn´t God!). The priesthood is a mystic order, and only the members that keep it faithfully will become gods in the hereafter. Two thumbs up to you for the information and your insights. What Mormons can't quite wrap their brains around is the fact that all religions claim revelation from God and guess what, it makes them feel good. I was watching a movie documentary that goes back to about 1973 about Elvis. It really made me feel good. Should I pray to find out if Elvis is alive and working as a dental hygenist in Detroit? Maybe I'd get a good feeling about it proving that it's true. That makes about as much sense as the Mormons with their feelings driven revelations. I forgot to also list that another one of Joseph Smith's spirit sightings was the angel with the flaming sword that was going to kill him if he didn't practice polygamy. Can you imagine? I guess the sword bearing being must have had the right color hair because polygamy real took off among Smith's inner circle. It's a wonder that Heavenly Mother never appeared to Smith since he was having all sorts of spirit sightings. I love this question you pose. Good reasoning! Let's see if any of the Mormons want to answer you. "…The family of Smiths held Joseph Jr. in high estimation on account of some supernatural power, which he was supposed to possess. This power he pretended to have received through the medium of a stone of peculiar quality. The stone was placed in a hat, in such a manner as to exclude all light, except that which emanated from the stone itself. This light of the stone, he pretended, enabled him to see any thing he wished. Accordingly he discovered ghosts, infernal spirits, mountains of gold and silver, and many other invaluable treasures deposited in the earth. He would often tell his neighbors of his wonderful discoveries, and urge them to embark in the money digging business. Luxury and wealth were to be given to all who would adhere to his counsel. A gang was soon assembled. Some of them were influenced by curiosity, others were sanguine in their expectations of immediate gain. I will mention one circumstance, by which the uninitiated may know how the company dug for treasures. The sapient Joseph discovered, north west of my house, a chest of gold watches; but, as they were in the possession of the evil spirit, it required skill and stratagem to obtain them. Accordingly, orders were given to stick a parcel of large stakes in the ground, several rods around, in a circular form. This was to be done directly over the spot where the treasures were deposited. A messenger was then sent to Palmyra to procure a polished sword: after which, Samuel F. Lawrence, with a drawn sword in his hand, marched around to guard any assault which his Satanic majesty might be disposed to make. Meantime, the rest of the company were busily employed in digging for the watches. They worked as usual till quite exhausted. But, [p.119] in spite of their brave defender, Lawrence, and their bulwark of stakes, the devil came off victorious, and carried away the watches…." I hope everyone gets a chance to look at the affidavits. Pretty interesting stuff. This is really good. Thanks for posting it. Angels have bodies of flesh and bones? Is there any doubt that Smith was working on mysteries without any clues? If you shake hands with a spirit and you don't feel anything? Smith was truly a dolt! He could get away with this nonsense in the early 19th century when the context of the era was much different. Every time I read things like this all I can think about is "The Adventures of Huckleberry Finn" and the superstitious nature of people of that time. Speaking of Samuel Clemens/Mark Twain, he referred to the BoM as "chloroform in print". Yes this is indeed amazing, but what's more amazing is that people actually look to this fraud as a prophet revealing secret truths. Again, the more preposterous, the more some people will believe it. And the sad thing of course is that Mormons have exchanged the truth of the Gospel of Jesus Christ for a lie. It's all the more unbelievable because the truth is right in front of their noses. But it makes them feel bad to think about the fraudulent religion of Mormonism so they flee the truth and thus are caught in the quicksand of a lie. There´s also the fact that it´s a works based religion, so it´s very easy to feel good about yourself – just do one little favor to your bishop/leader and you´ll feel like you´re pleasing God and because of it God will pour His prosperity blessings on your life. Besides mormon doctrine has as its major goal to inflate the ego . Priesthood = undisputable god-given power only given to the worthy as a preparation for men to become gods. Temple = you´re very worthy. Member of the church = you´re were faithful and fought with jesus in the pre-mortal life, etc. When people become that proud and self-rightous they become completely blind, just like you said, falcon. Several times i heard conference speeches that said i was part of a "chosen generation" that had been selected to be born in these latter days, because we were the most valiant children of God, because only the most valiant would be able to stand the challenges of these times…etc. Only Jesus could open my eyes, and He did and the truth set me free! I remember when I was in the early grades at Catholic school, that one day the nun coyly told us students that she knew the name of her guardian angel. We were all duly impressed and were curious as to how she had come to that knowledge. If my memory serves me right she had asked and he told her! She didn't say anything about the angel appearing to her but, according to her, a little voice whispered it in her head. I think I tried to find out the name of my guardian angel but he didn't speak to me. Maybe my technique was wrong, I wasn't spiritual enough or angels don't really whisper their names to us when we ask. My guess is that the nun was sincere and really believed she heard the voice of her guardian angel. I'm guessing she really didn't hear an angel speak to her but that her desire for that experience played a large role in her spiritual hearing. People can make what ever claims they want about their spiritual experiences and it's up to those to whom the claims are made to judge whether or not the claim is true or even plausible. So Joseph Smith claims that God the Father, Jesus, John the Baptist, Peter, James, John, Moroni and an angel with a large sword appeared to him. He and his homeboys even reported seeing a huge cave with stacks and stacks of gold plates piled high. Other Mormons report fantastic appearances including that of Willford Woodruff who had the signers of the Declaration of Independence appear to him demanding that temple work be done for them. I believe Willford called them "choice spirits". So what are we left with here? Some very fantastic accounts of spiritual manifestations. Joseph Smith gave all kinds of advice regarding the techniques that are to be employed to determine if spirits are who they claim to be. This included checking the color of their hair and shaking their hands to see if you feel anything. The apostle Paul warns us about people who make claims regarding visions and revelations. He spent a lot of time when writing to Timothy about making sure that people are sticking to right doctrine. Joseph Smith can be exposed as a liar and fraud based on his character and life story alone. However checking his doctrine tells us that he was a couple of fries short of a Happy Meal. Mormons inevitably have to come to a conclusion about Joseph Smith. Feelings about someone's fantastic claims are not a good guide for the truth. The end result for following after him is spiritual death. I remember back in the 70s Oral Roberts claimed that a 100 foot Jesus (can't remember the exact size but it was big) had appeared to him. The reason for the appearance was that Oral was to build the City of Hope Medical Center that would combine the best in medicine with the best in prayer and supernatural healing. Now the problem was that the hospital board that was responsible for granting approval for hospitals didn't go along with the project because there were enough hospital beds in the area. Oral persisted and money poured in and the board eventually relented and the facility was built. I knew someone who worked there and I guess it was implemented as it had been conceptualized. It eventually went belly-up for lack of funds. I remember Oral saying at one point when questioned a little closer about this huge Jesus he had seen remarked that he had seen Jesus in "his mind's eye". Bottom line, he really didn't "see" Jesus as we think of physical seeing, but had seen Him in his imagination. In short, he got a picture of it in his mind. Joseph Smith was a practitioner of second sight vision, nacromancy and scrying with magical rocks. Anyone want to bet how he "saw" all of these spirits. So Mormons who desire to believe the Smith tale are left to deny the obvious or come up with rationalizations to support (their desire to believe). Now those of us who see it all as the bogus claims that they are, are declared not spiritual enough for rejecting Smith's claims. I guess I'd ask Mormons, is there anything you won't believe when it comes to Mormonism? If you're bishop tells you that he saw the original 12 apostles flying around inside the temple in SLC would you believe it? My guess is they would believe it. Thus the mindset of the true believer. Fiction can be so much more emotionally fullfilling than reality. – Pray about the Book of Mormon and Mormonism – a good feeling means it's true. – However, it is not necessary to pray about every denomination/religion to see if they are true. Only Mormonism. – Spirits that seem to be true may be false. How do you tell? Pray? No, Joseph Smith/the prophet will tell you. A good feeling may lead you astray. Okay – confusing. As a Christian I believe in God's revealed Scripture which is proven true on many accounts. Anything that contradicts this is false. Mormonism contradicts Scripture – it is false. I too believe the Spirit has given me testimony of the crucified and risen Lord Jesus Christ as the redeemer of mankind – the only and sufficient way for peace between God and man. An entire history of a nation tells the testimony of the final sacrifice for sins. It's not about a feeling or my striving – it is about a God who cared enough to come and give His life for us to pay for our sins. Any spirit that contradicts Scripture or this simple truth is a lying spirit of Satan. *On the feast of St. John, Margaret Mary reported that Jesus permitted her, as He had formerly allowed St. Gertrude, to rest her head upon His Heart, and then disclosed to her the wonders of His love, telling her that He desired to make them known to all mankind and to diffuse the treasures of His goodness, and that He had chosen her for this work. *On another occasion Margaret Mary claimed that Jesus requested to be honored under the figure of His Heart of flesh, also claiming that, when He appeared radiant with love, He asked for a devotion of expiatory love:frequent reception of Communion, especially Communion on the First Friday of the month, and the observance of the Holy Hour. *During the octave of Corpus Christi the vision known as the "great apparition" reportedly took place, where Jesus said, "Behold the Heart that has so loved men….instead of gratitude I receive from the greater part of mankind only ingratitude…. ", and asked Margaret Mary for a feast of reparation of the Friday after the octave of Corpus Christi, bidding her consult her confessor. Solemn homage was asked on the part of the king, and the mission of propagating the new devotion was especially confided to the religious of the Visitation and to the priests of the Society of Jesus. Margaret Mary reported everything to her confessor and he acknowledged the vision as an action of the Spirit of God. He consecrated himself to the Sacred Heart and directed her to write an account of the apparition. The priest's journal was discovered after his death and it included the account he had requested from Margaret Mary. The account and the priest's reflections were published and widely circulated. Margaret Mary reported feeling "dreadful confusion" over the book's contents, but resolved to make the best of it, approving of the book for the spreading of her cherished devotion. Over the years the observation and celebration of the Sacred Heart of Jesus was steadily upgraded by the Catholic church. Now it's interesting that Margaret Mary did not report that Jesus said that the Church was an abomination, that the creeds were reprehensible and that Margaret Mary should restore original Christianity. I would have thought that if all had been lost, Jesus would have told Margaret Mary. Now whether or not someone believes Margaret Mary's story, it is interesting to note that the focus of the devotion is on Jesus. At least Margaret Mary had that part of her theology straight regardless of the veracity of her vision claims. I guess it could be summarized with John 3:16. Where there is proof of deception our LDS apologists are absent as usual. liv4jc – you said it! it's so disappointing. everytime you think you have an argument that will that can not ignore, they pretend to not even see it. If it were still me stuck in Mormonism, I'd hope that after reading something like this, I'd say to myself: "really? Dang! That is weird. Maybe i SHOULD take a better look into all of this." Still praying for our regular Mormon commenters out here. Hoping one day, they'll see.. I've been looking over an article about visions of Jesus. A little fun fact: Their was a conversation between Jesus and Ananias in Damascus in which Ananias is ordered to heal Paul (Acts 9:10-18) and we don't hear anything in the Bible again (about appearances by Jesus) until the Book of Revelation and John's vision. Although there is a place in Acts were Paul says that the Lord stood by his side. Was this literal or a sense that Paul had? Over the centuries, many "saints" reported visions of both Jesus and the Blessed Virgin Mary. It isn't the visions that interest me as much as what happened as a result of the vision. In the year 1205 Francis of Assisi had a vision of Jesus. Jesus told Francis, "Francis, Francis, go and repair My house which, as you can see, is falling into ruins." The result of this vision was that Francis gave-up his rather cushy life for a life of poverty. He formed the Franciscan order. Francis had another vision in 1224 and he reportedly received the very first recorded case of stigmata (bearing the wounds of Christ). In 1208, Juliana of Liege began to have visions of Jesus. She kept these secret for nearly twenty years. In the visions she was told to institute a solemn feast for the Blessed Sacrament as the Body of Christ (that's holy communion). She eventually told her confessor of her visions and he relayed the information to the Bishop. In 1264 Pope Urban IV, who had been the archdeacon in Liege, declared the feast of Corpus Christi which was the first papally sanctioned universal feast for the Latin Rite. In 1251 the English Carmelite priest Simon Stock had a vision of the Virgin Mary at Cambridge, England. Now here's a really interesting part of the story. Simon said (cute huh?) Simon said that the Virgin Mary had a scapular in her hand and told him:"whoever dies in this garment, will not suffer everlasting fire." Guess what? I had one of those when I was in Catholic school and I wore it faithfully. I don't know what happened to it but they were made out of cloth and so I'm guessing it just wore out. Now the scapula was kind of like a necklace with two strings attached to two small square patches on the front and back. I had my own "garment" and me a Catholic kid! Well, anyway, Simon instituted the confraternity of the Brown Scapular. It became known as the Scapular of Our Lady of Mount Carmel and it is perhaps the best known, and most widespread of all small scapulars. I was just thinking to myself if I would wear one today? What do you think? In 1366 Catherine of Siena was 19 years old and kind of a recluse. She was a withdrawn sort who used to fast and pray in her hometown of Siena, Italy. She had her first vision and started to tend to the sick and the poor. In 1370 she reported having a vision. She was told, in the vision, to abandon her life of solitude and to make an impact on the world. She began corresponding with the Pope (Gregory XI) and other people in authority. She wrote over 300 letters the subject of which was the need for reformation of the clergy. Luther, it appears, was not the first reformer. Another little fun fact here, she is one of only three female "Doctors" of the church. I don't think that has anything to do with the medical field! In 1372 Julian of Norwich was dying! She had been given the last rites of the Church. She reported a series of visions of Jesus and she suddenly recovered from her illness. Twenty years later she wrote a book titled, "Sixteen Revelations of Divine Love". The book is said to be perhaps the first book written in English by a woman. In the book she talks about her visions of Jesus which she had during her illness and recovery. So the first revelation was of the crown of thorns and they proceed through the death of Jesus. The revelations end with the resurrection of Jesus and how He still dwells in the souls of those who love him. In 1531 Juan Diego had a vision early one morning in which the Virgin Mary said that an abbey was to be built on the Hill of Tepeyac in Mexico. As these things go, the local prelate did not believe the vision and said he needed a miraculous sign. Well as I remember the story, Juan was walking along, it was winter and (I'm doing this from memory) there were roses growing in the snow. That's unusual! He stopped, picked the roses and wrapped them in his cloak. OK so he goes to take the roses out of his cloak and there, permanently imprinted is an icon of Our Lady of Guadalupe, the miracle…….which BTW became the symbol of the Catholic faith in Mexico. In 1559, on St. Peter's Day, Teresa of Avila had a vision of Jesus presented to her in bodily form. She reported similar visions for nearly two years after the first. It is said that during some of the visions she suffered bodily pain. Her motto, "Lord, either let me suffer or let me die." As can be imagined, these visions transformed her life. One source reports on Teresa by saying that she suffered greatly from illness. During her illness she experienced periods of religious ecstasy by the use of a devotional book titled (in English), Third Spiritual Alphabet by Francisco de Osuna. This was a type of book used by medieval mystics and it consisted of directions for examinations of conscience and for spiritual self-concentration and inner contemplation. She also employed other mystical ascetic works. She claimed that while sick she had a transformation from the lowest stage, "recollection", to the stage of "devotions of silence" or even to the stage of "devotions of ecstasy". The last stage is the one of perfect union with God. During this final stage, she said she frequently experienced a rich "blessing of tears". She began to see the awful terror of sin and the inherent nature of original sin. She became aware of her own natural impotence in confronting sin, and the necessity of absolute subjection to god. Well as a result of all of this some of her "friends" suggested that her newfound knowledge was diabolical, not divine. So, and I don't really understand this, she began to inflict various tortures of the flesh upon herself. Her confessor, however, reassured her of the divine inspiration of her thoughts. She was convinced that Jesus had presented himself to her in bodily form, though invisible (?????). I'll conclude this with another one of her visions. In it a seraph drove the fiery point of a golden lance repeatedly through her heart, causing an ineffable spiritual-bodily pain. "I saw in his hand a long spear of gold, and at the iron's point there seemed to be a little fire. He appeared to me to be thrusting it at times into my heart, and to pierce my very entrails; when he drew it out, he seemed to draw them out also, and to leave me all on fire with a great love of God. The pain was so great, that it made me moan; and yet so surpassing was the sweetness of this excessive pain, that I could not wish to be rid of it………"
I don't know about you, but this all sounds a lot better than a bunch of gold tablets and some magic glasses. Oh, BTW, I don't know what color hair the seraph had or if Teresa attempted to shake hands with him. This is also way better than the angel with the sword appearing to Joseph Smith instructing him to marry a lot of women. That whole scenario seems to be heavily related to lust where as Teresa's visions led her to a knowledge of sin and it's devastating effects on man(kind). She sought for holiness, Smith sought for debauchery and the rationalization of his own sin nature. I'm going with Teresa's outcome! Teresa of Avila was a Carmelite nun and a Spanish mystic. What I really like about her is that I can't find anything in her history to suggest that she ran about the country side with a magic rock looking for buried treasure or that she used a magic rock to translate Reformed Egyptian found on some golden plates. Since the subject of our discussion really boils down to supernatural experiences and the identification of spiritual entities which may present themselves, I though a look at what a Catholic female mystic was into might be interesting. As we have seen, as a result of an illness and convalescence, Teresa took to daily mental prayer which led to her experiences with mystical prayer. Now according to one source, Teresa never sought out mystical experiences. She basically resigned herself to God's will and considered the experiences a divine blessing. During her "prayer of quiet" and the "prayer of union" she frequently went into a trance. She would, at times, enter upon mystical flights. During these mystical flights she would feel as if her soul were lifted out of her body. She described ecstasy as a kind of "detachable death". During these times her soul became awake to God as her faculties and senses were dead. Now one thing that is quite interesting is the concept of contemplation. Teresa was well known for her discussion on the grades of prayer. The soul, which is focused upon the love of God, passes through these grades before reaching the "central mansion" of the soul, and it is here where Christ lives. TERESA BELIEVED THAT SATAN COULD MANIPULATE SUCH PHENOMENA TO CORRUPT THE GULLIBLE EVEN WHEN THEY COME FROM GOD. I find the part, "even when they come from God", quite interesting. It's said that Teresa was of the feeling that Satan could twist such things to cause the individual to be more concerned with these manifestations than with their true mission of loving God entirely. Teresa was of the belief that Satan was constantly active against Christians. She felt this was especially so in the case of the contemplative. She felt that the devil was always trying to block Christians from achieving absolute union with God. 1. Encourages self-righteousness and false humility. 2. Discourages us from prayer. 3. Causes us to feel guilty for having received God's grace and to labor under the impossible burden of trying to earn it. 4. He makes us ill-tempered toward others. 5. He creates illusions and distractions in the intellect. 6. He inspires the doubt and fear that the understanding that we are granted in contemplation is an illusion. In her autobiography Teresa describes how she experienced a spiritual marriage with Christ as bridegroom to the soul. She wrote a book in 1577 which is her best-known book-"The Interior Castle". The book was "revealed" to her on "Trinity Sunday". In her revelation she saw a crystal globe like a castle that contained seven rooms. The seventh room, in the center, held the King of Glory. One approached the center which represents the Union with God, by going through other rooms; humility, practice of prayer, mediation, quiet, illumination, and dark night. I guess that folks can see that I rather enjoy studying the life of the Christian mystics. Some of it blows my hair back and make me say "what?" especially the supernatural manifestations, especially what I'd call soul travel and levitation, a couple of things I've been cautioned about. I mean I don't do it but am familiar with it, whew! But here's the deal, with these mystics it's all about God and achieving union with Him. They focus on Jesus and what he did for us. It is a continual message of people intent on getting as close to Jesus as they can and transforming their lives to conform with the character of Christ. It´s interesting because usually they try to turn a bad thing into a respectable thing. "Young Joseph Smith was a member of a specialized sub-community with ties to these very old and very respected practices, though by the early 1800s they were respected only by a marginalized segment of society. He exhibited a talent parallel to others in similar communities. Even in Palmyra he was not unique. In D. Michael Quinn's words: "Until the Book of Mormon thrust young Smith into prominence, Palmyra's most notable seer was Sally Chase, who used a greenish-colored stone. William Stafford also had a seer stone, and Joshua Stafford had a 'peepstone which looked like white marble and had a hole through the center.'" Richard Bushman adds Chauncy Hart, and an unnamed man in Susquehanna County, both of whom had stones with which they found lost objects. " That´s the only way they can accept Joseph´s use of seer stones and those visions mentioned in the article, it´s to turn it into something respectable, something that comes from God. I´ve had many people telling me that God worked with Joseph through the seer stone, that the urim and thummim mentioned in the Bible had that same purpose. Can you imagine Moses looking into a hat right before he opened the red sea? Mormonism is basically an all about "me" religion. It's a check off list type of approach where the adherent isn't seeking after God he's seeking after himself, believing that he will be transformed into deity by the completion of certain tasks. It's kind of like earning merit badges on the way to becoming an Eagle Scout. In Mormonism, god is important in a sort of familial way. They've got the Mormon god and momma god procreating spirit children with which to populate "their" kingdom as they continue to progress in more knowledge and truth. With the Catholic mystics, especially those of a contemplative bent, it was all about getting closer to God, coming into union with Him and serving Him, not themselves. I can't really attest to the approach that these mystics used in their quest but we do know it was to come into a closer relationship with Jesus Christ. When someone believes that Jesus is the physical manifestation of the invisible God, the attitude is a lot different than someone believing that Jesus is just one of many gods, perhaps a million or a billion of them. Joseph Smith didn't restore anything. He was a very imaginative lad with a magic rock. As is usual, most of the comments here completely miss the point. Joseph's statements about discerning "spirits" have to do with actual "angels" or visitors, not simply the general inspiration that we all seek. Your claims about determining the truth of the BOM etc. through the guidance of the Holy Spirit are mute- that type of influence of the Spirit is NOT what Joseph was speaking about. But that will not keep you from conflating as much as needed to make what you think is a good argument against him. But anybody with the ability to think in a linear and logical fashion can see the problem with your conclusions and the faulty assumptions you so repeatedly make. I have noticed that the best approach for LDS on this site is to not comment. Left alone, the ridiculous nature of the arguments from the critics really speaks volumes against them. I think this is very interesting. Trying to lead people through a reasonable and logical discussion while swimming among such huge biases only clouds the view of how flawed the thinking from the other side is. Stepping back and looking at a years comments or so, I honestly believe the typical critic who posts here knows next to nothing about the restored gospel. You may know pseudo-factoids, but you know nothing about our faith. And this is only made more obvious when your views are undiluted and on full view. "Ever learning, and never able to come to a knowledge of the truth." OK, very quickly go back to the very basis of Mormonism. That basis is that there is a god who was a man who through effort and striving made himself into a god just like millions or perhaps billions of gods before him. In Mormonism the "spirit" is divided into two different things; one an entity known as another god and another a force likened to electricity. That's all someone needs to know about the spirit of Mormonism and the source from which Mormons claim their supernatural experiences. The God of the Bible is One. There is no other. He is the source of strength to the Christian, and to the extent He desires, the source of supernatural experiences. The manifestation of spirits in Mormonism and documented by Mormons themselves, are not sent by the God of the Bible. The techniques used by Smith and the rituals he introduced are designed to conjure spirits not associated with the living God. This is the deception of the spirit of Mormonism. I'm saddened to think that Mormons have rejected God and in their arrogance and ignorance rejected the pathway to salvation that God has provided. OJ you have a major problem in that the "typical" poster here is quite often an exMormon who has many years experience inside the "restored" gospel. You can insult the intelligence of the posters here all you want but it is seen for what it is, an avoidance of facing the obvious and that is that Mormonism is a fraud, a deceit and a pathway to spiritual destruction. All you can do in the face of solid evidence of the fraudulent nature of Mormonism is hurl insults at the Christians posting here. That alone speaks volumes. Are you arguing that those to whom I responded are not critics of the Church of Jesus Christ of Latter-day Saints and its doctrine? You notice I used the word "critics" in my post above. Do you disagree with my usage of that word? Not sure what you want me to call you or others who disagree with our doctrine. The term most often used to describe "critics" of the LDS church is not allowed here. Do you have other suggestions? And by the way- I am very aware of and grateful for the differences between the doctrines of the restored gospel and those of non-LDS Christianity. I do not apologize for an instant for those differences. But I refuse to allow others to define our faith and misrepresent our doctrine with their over-the-top spin. 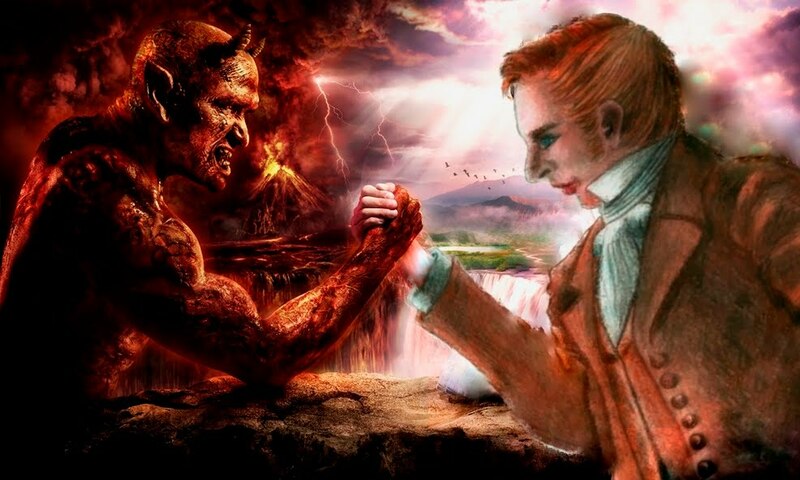 Do you think it is "critic" "over-the-top spin" that Joseph Smith hoped to control evil spirits with "priesthood" power? That he used his peepstone both to find treasure under ground, as well as to "translate" the Book of Mormon, both of which got him money? What exactly are you objecting to, as being "spin" on the part of a critic on this post? Jim, I have said this before and will say it again. Where is the Love of Christ from the LDS? You keep telling us that we have no clue what you guys teach and and we getting it all wrong, but thats all you guys ever do. You never tell us, this is what you said we believe and this is how your wrong and here is what we really believe. ……..and here's the other thing. Mormonism is not suppose to be a religion of understanding but a religion of feeling. It's all about emotions that confirm that the Mormon god has spoken to you as to the truth of the revelation causing a burning in the bosom. So if something makes the Mormon feel good that is interpreted as the presence of the Mormon spirit. If the Mormon feels bad the conclusion is that something is not true and that the Mormon spirit is not in it. So from the Mormon perspective, who cares about knowledge, truth, understanding, the intellect and evidence. It must really be frustrating to be a Mormon and believe so fervently in Joseph Smith and then read this nonsense about judging spirits by hair color and handshakes. That's the best Smith could do and ranks right up there with his laughable BoA translation and his magic rock. I think Smith needed to test the spirit with the sword that threatened to kill him if he didn't start marrying more women. Using Smith's test, the angel must have had the right color hair and a firm handshake. That had to work because it caused Smith to start marrying women already married to other men. Must have been some handshake to convince Smith to commit adultery. Probably made him feel good! "As is usual, most of the comments here completely miss the point. Joseph's statements about discerning "spirits" have to do with actual "angels" or visitors, not simply the general inspiration that we all seek." Completely miss the point? Joseph Smith got all what you call "restored gospel" from thos angels/visitors. You´re missing the point big time. We don´t have to twist our views and become like the sect of the Gnostics to understand the BS that your prophet taught. down-played or denied. This is just my opinion. Anyway , thanks for sharing. So why did you leave the church f melo?